Last weekend at Calgary Farmer’s Market I caught sight of some amazing produce at Blush Lane Organics. Romanesco or the less romantic sounding but more descriptive ‘broccoflower’ is a cross between broccoli and cauliflower. It seems that the two are so closely related they share the same genus and species Brassica oleracea which also makes it easy to cross pollinate them. 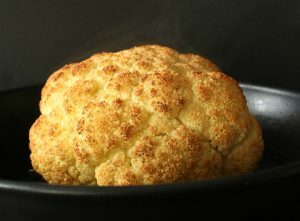 Though I begrudgingly cook with cauliflower and broccoli at home (gotta get those kids to eat veg!) I find them much more visually appealing. They look to me like little fractals, a miracle of nature’s geometrical order. 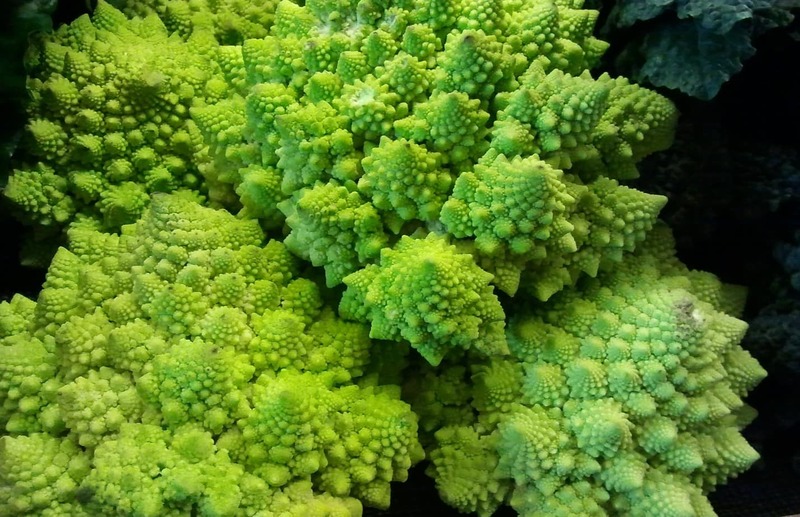 Romanesco is rich in Vitamin C, folic acid, potassium, and fibre. You can substitute it for broccoli or cauliflower in any recipe though it may be best eaten raw. I think it’s too pretty to eat. I love it! It’s one of my favorite brocco-cauli-cabbages! Nice picture! Will you be making anything special with it, or eat it raw, as you suggest? Or lightly steamed, surrounding some homemade ravioli. Really, the possibilities are endless. Maybe I should pick up a bunch the next time I see it.